Whatever you do, the technology will show its signs in every field and walk of life. Music industry has always been using new technology not only to improve the music videos but to polish the final products i.e. songs, so the music listeners get the best of it. 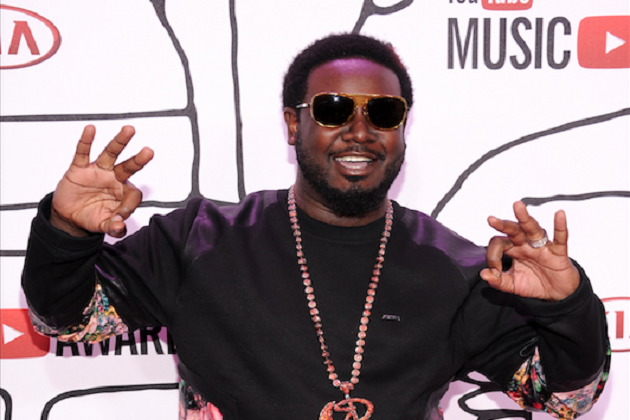 Faheem Rasheed Najm, who is popularly known around the world with his stage name, T-Pain, was recently talking about Kanye West and Auto Tune technology. T-Pain is known around the world and in music industry for using auto tune technology. It wouldn’t be wrong to say that he’s the artist who has used it the most and most properly. It is as if he was born with the talent of using auto tune. However, there are other rappers who have been using this technique recently and they wouldn’t agree that they aren’t much good with it. Kanye West also uses auto tune quite a lot in his songs now. However, T-pain doesn’t seem to accept the fact that Kanye West uses this technique the way it should be used. While talking about Kanye West’s use of auto tune, T-pain didn’t hold back from telling who he has taught the way to use auto tune. He said he has taught Jamie Foxx and Chris Brown how to use this technique. He uses it himself too. He said Kanye West is good at making songs and the way he uses auto tune is not bad but he doesn’t use it properly. He says the order of operations is what the problem is with how Kanye West uses auto tune methods to correct the pitch in his songs. He said that Kanye West goes by recording his song first and then uses the auto tune technique to fix the little pitch anomalies and discrepancies. He thinks this is not the right way. On the other hand, Kanye West thinks he uses it properly and the way he uses it is the logically correct way since a person cannot know the mistakes before making them. The issue between the two artists about auto tune remains an issue. They often give comments about its royalty but not much has come out of these talks. What T-Pain says matters a lot here since he’s the one to use this technique most accurately. He’s the artist with many talents such as songwriting, rapping, and he’s an actor too. Not to mention his second album that hit the top spot at Billboard 200.